OFFICIAL ALABA REPORT WEBSITE FOR NEWS GIST ENTERTAINMENT. PROMOTION.FASHION MIXTAPE GOSSIP MUSIC VIDEOS. PLACE UR ADVERT OR FOR BOOKINGS CONTACT INT'L DJ WATZAPP, ALABA FIRST SON.+2348130234769 @Alabareport1. 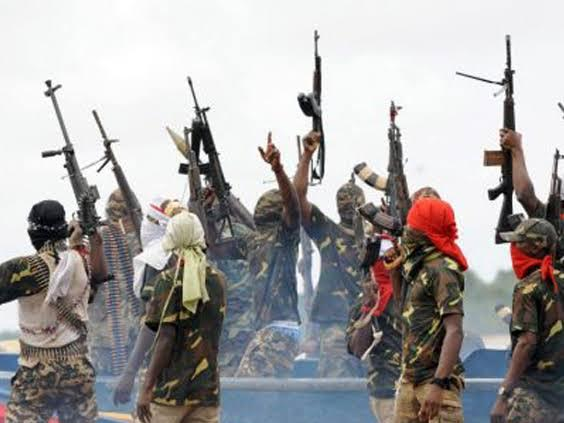 A militant group in the Niger Delta known as the Niger Delta Avengers have blown up the Chevron Valve Platform in Delta State.‎ According to Sahara Reporters, the militant group which has claimed responsibility for the attack, destroyed the platform using dynamite. The attack happened at about 10:40pm yesterday May 4th. The platform is a major connecting point that links numerous other oil platforms. It serves as a fulcrum to Chevron BOP the Chevron tank farm. The explosion has reportedly halted operations of the oil company in the region. The militant group has released a statement claiming responsibility for the attack. It says the attack is aimed crippling the Nigerian economy. Saturday, February 28, 2015 Don Jazzy, Tiwa, Dr Sid, D'Prince, other Mavin artists in new photos Posted by Int'l Dj Chenz @djchenz..
Alaba Report. Powered by Blogger.